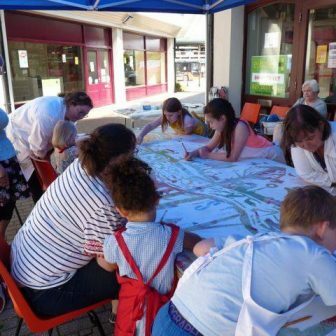 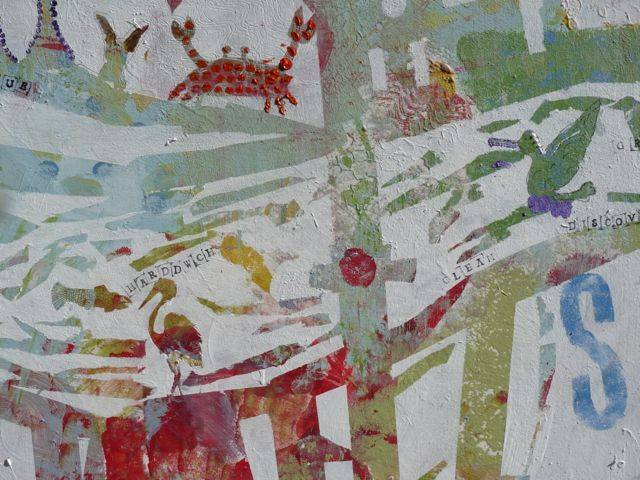 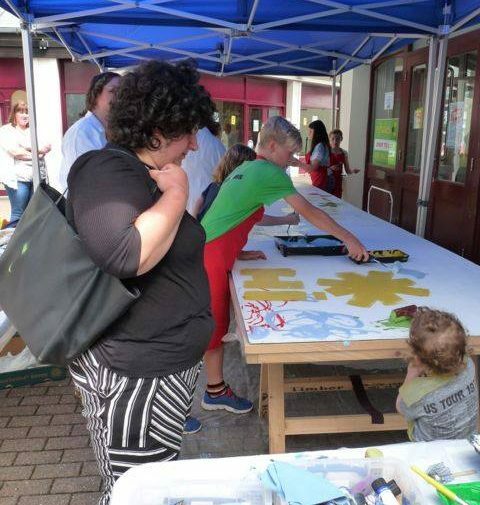 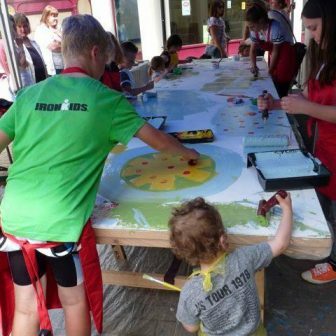 Stay by my side is a collaborative mural created by more than 100 people of all ages and abilities as part of Haverfordwest Festival Week 2018. 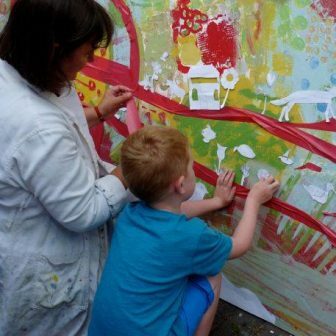 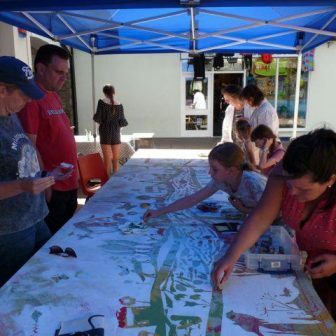 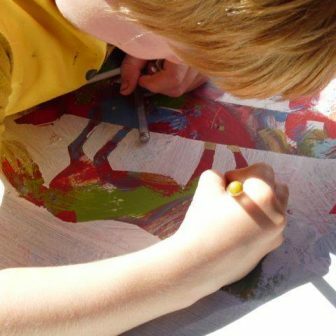 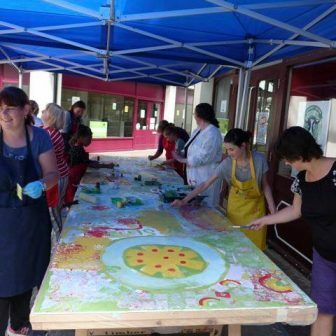 The mural was made over three days in a series of “Make your Mark ” workshops designed and delivered by artists Pip Lewis and Heidi Baker from spacetocreate. 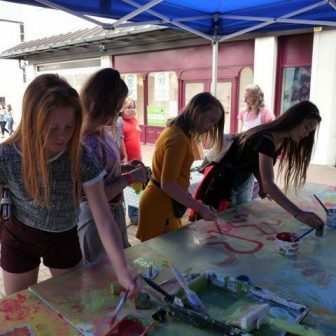 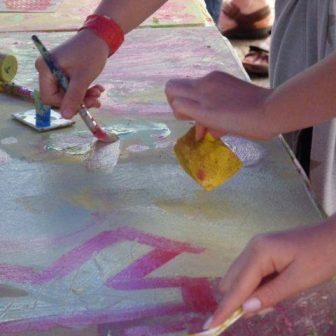 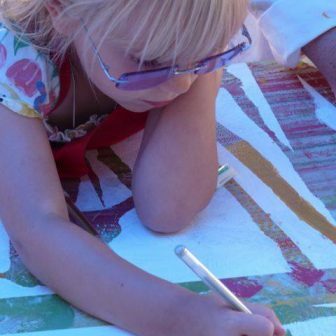 In the first workshop participants were invited to make their mark, using a range of mark-making tools and paint, which created the background for the mural. 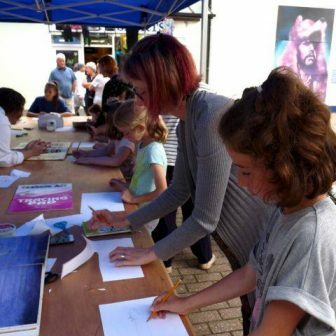 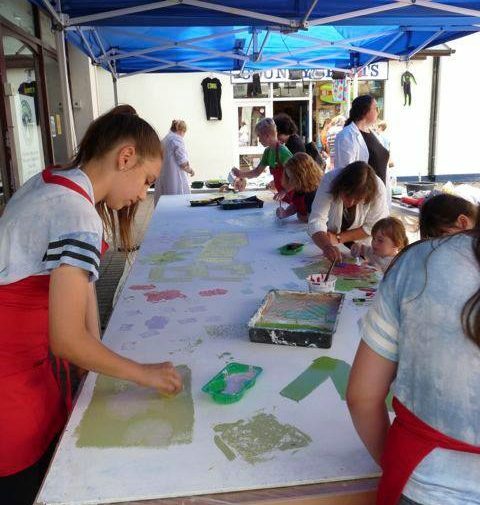 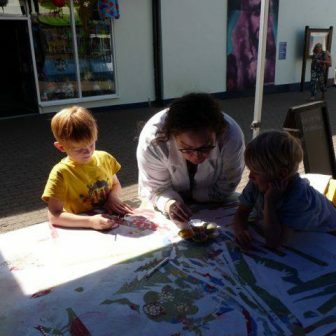 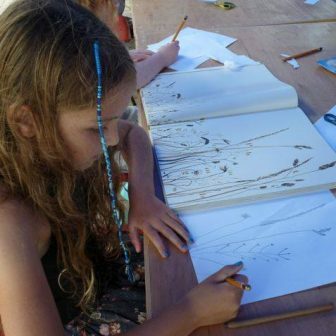 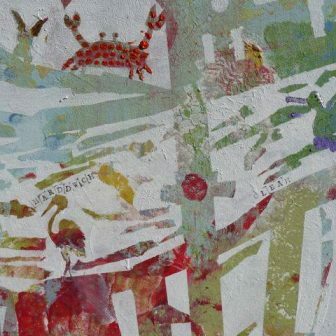 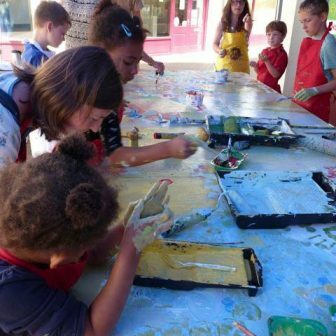 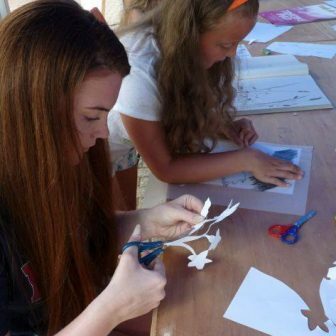 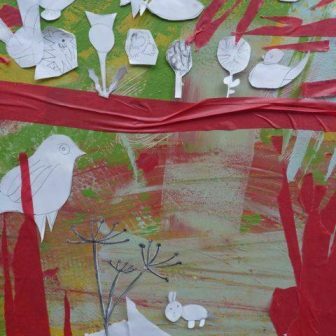 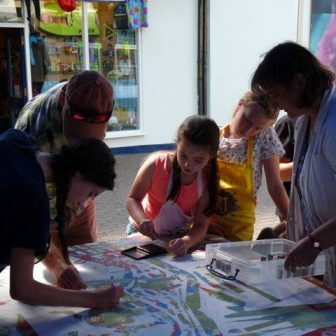 The second day focussed on making stencil drawings, inspired by Haverfordwest’s riverside. 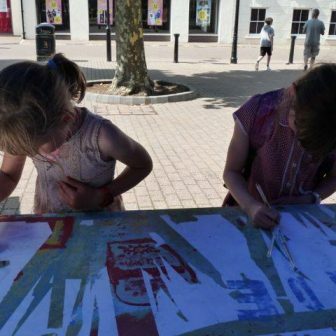 Thank you to Haverfordwest Town Council for funding the project, and the Riverside Shopping Centre for permission to deliver the workshops outside in the courtyard space.